In this lesson you can learn about separating mixtures by using different methods such as sieving, filtering and evaporating. Study how mixtures can be separated using sieving, filtration and evaporation. Try these fun science experiments carefully with the help of an adult. Depending on the type of mixture the individual substances in a mixture can be separated by using different methods. These methods can be sieving, filtration, evaporation etc. 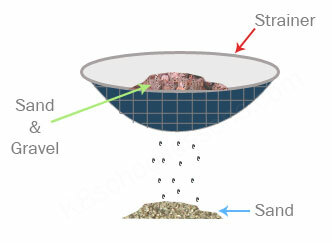 Separate by passing through a sieve to separate out coarser elements like sand is called sieving. We can separate mixtures of solid particles of different sizes by sieving. Separating an insoluble substance from a liquid is called filtration. We can separate mixtures of water and an insoluble substance like sand by filtering. 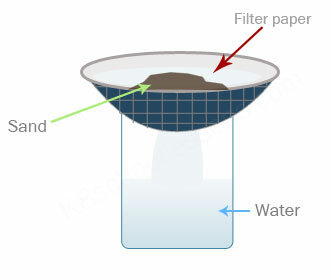 Filter paper is ideal to filter off sand from water. Separating a soluble substance from a liquid is called evaporation. 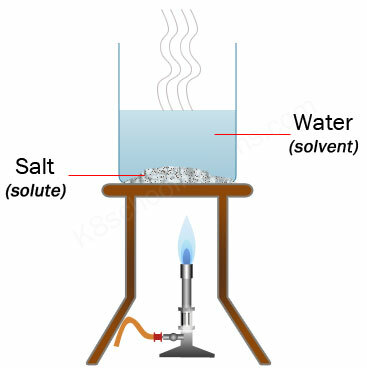 A solution of salt dissolved in water can be separated by boiling the solution until all the water has evaporated. The salt will be left behind. If the water vapour was collected, it could be cooled to form water again. 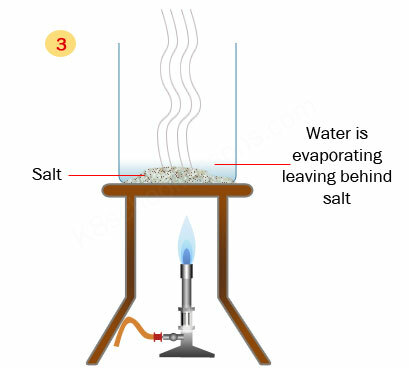 Salt can be separated from the salt solution by boiling the solution and evaporating water. A mixture of sand and salt can be separated by mixing with water, filtering, and then evaporating. 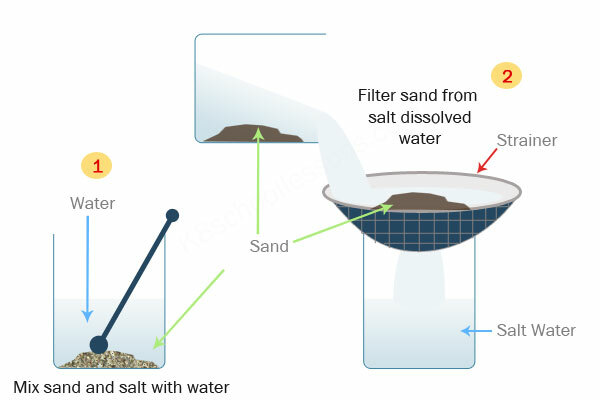 The salt dissolves in the water, the sand filters off and the water evaporates to leave the salt. Hope you enjoy learning how mixtures can be separated into their different parts by using different methods. Also, enjoy experimenting separating mixtures. Remember to get the help of an adult with your experiment.